Every morning people lined up for an egg crepe at this stand. 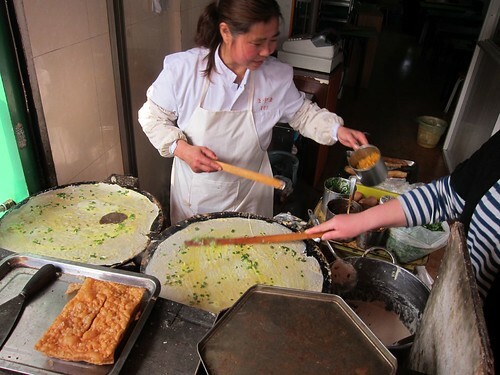 The crepe called dan bing is a very common breakfast consisting of eggs, herbs, savory sauces, some pickled vegetables and stuffed with a yu tiao (donut) or a crisp fried sheet that gives it a crunch. I like mine spicy.